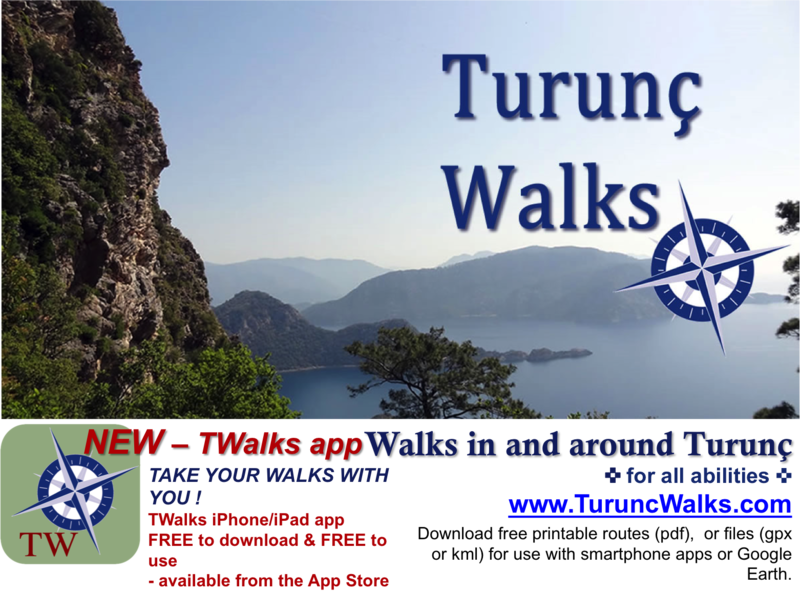 Turunç Walks is provided as a free service for those who enjoy walking and would like to explore Turunç and the surrounding areas. 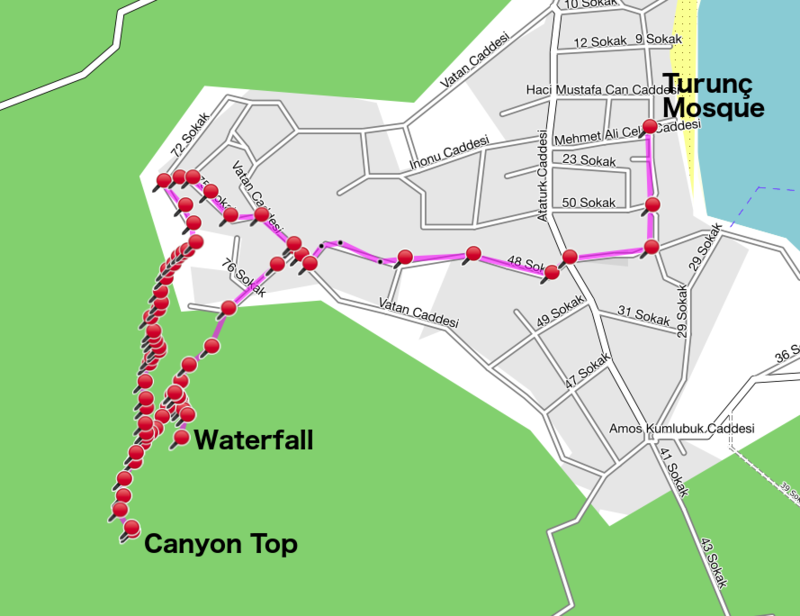 Before Turunç Walks few routes were documented and maps of the local area were of limited use to walkers. Our site addresses these issues, and is completely free to use. However, it only works when people know about it. If you live or work in or around Turunç you can help by telling people about us. If you run a business you could place a flyer in your window. Bars and restaurants could also place flyers on tables. Hotels, appartments, rental villas how about leaving flyers for your guests to pick up. 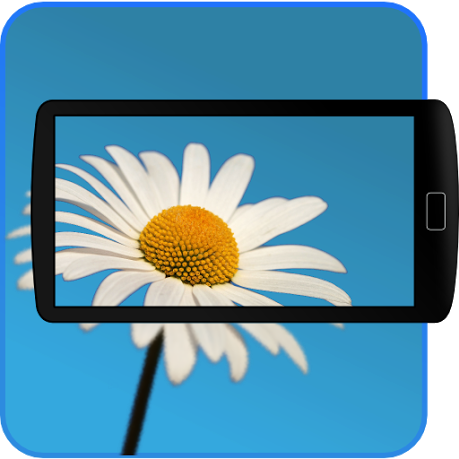 If you have a screen that is visible to your guests, how about having our home page on display as this has a scrolling view of our walks and selected photographs. You can download a flyer for printing here, or you can contact us and we will email you the appropriate files. 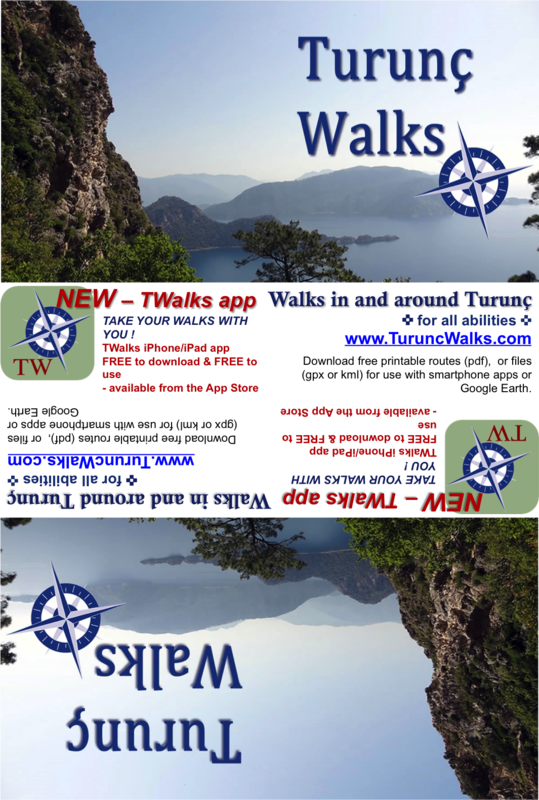 Our companion iPhone App is now available - just search for TWalks in the App Store.